Credit card fraud is growing at an "alarming" rate, and pensioners appear to be the most vulnerable, the Ombudsman of Banking Services said. 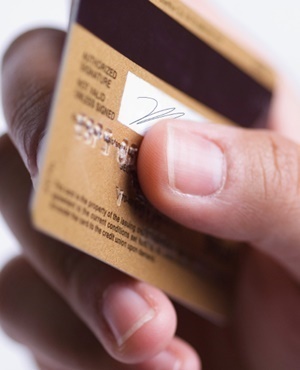 According to a report for the first quarter, the ombudsman said the increase in credit card fraud had grown from 12.2% to 19.47% in just three months. The figures are from January to March. "It is of great concern that the elderly are more vulnerable to this kind of banking fraud," said Reana Steyn, CEO and Ombudsman for Banking Services. According to statistics from the ombud, those aged between 61 and 70 account for 21% of fraud complaints. Those aged between 71 and 80 account for just over a quarter (26%) of complaints. Pensioners older than 81 account for 11% of complaints. The scammers obtain credit card information fraudulently and use it to make purchases the credit card holder is unaware of, the ombud explained. According to Steyn, fraud can take place through bank rewards programmes, online purchasing, phishing - by accessing sensitive information from the credit cardholder through electronic communications like email – and vishing; a telephonic version of phishing. "Fraudsters apply more sophisticated tactics to defraud and rob customers of their hard-earned money and savings. All bank customers, and particularly the elderly, need to be knowledgeable and vigilant about their preferred banking channels," Steyn said. Among the complaints the ombudsman receives is of the fraudster posing as a bank representative in order to get information from the clients to authorise transactions. People who believe they are victims of credit card fraud can lodge a complaint with their bank's dispute resolution department, the ombudsman advised. After getting a reference number of the complaint, banks take about 20 working days to respond. If not satisfied after getting a written response from the bank, a complaint can be lodged with the ombudsman.